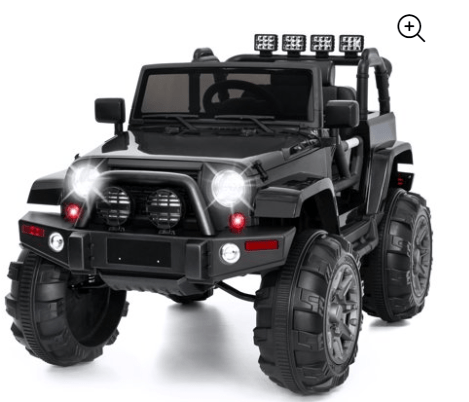 January 7, 2019 by Laurie 1 Comment This post may contain affiliate links, which means if you click on a link and purchase something, I may earn a small commission (at no additional cost to you.) See my disclosure policy HERE. 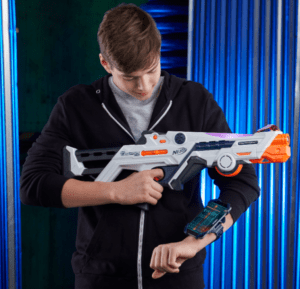 Head on over to Walmart.com to score this awesome deal on the Nerf Modulus Mediator for just $6.98! It's regularly as much as $24.99, so this is an incredible price while it lasts. And, get free shipping on orders over $35 or free in-store pickup too! 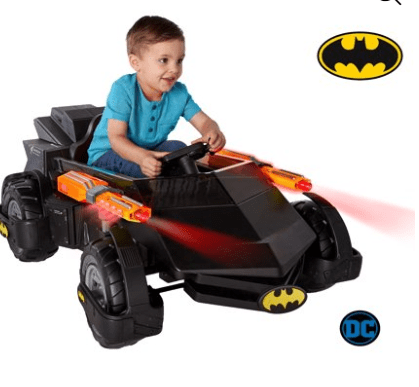 Magformers 26-Pc Neon Set with Light – SUPER BIG PRICE DROP! 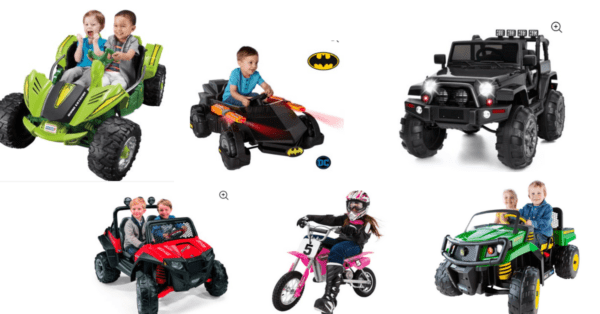 December 28, 2018 by Laurie Leave a Comment This post may contain affiliate links, which means if you click on a link and purchase something, I may earn a small commission (at no additional cost to you.) See my disclosure policy HERE. 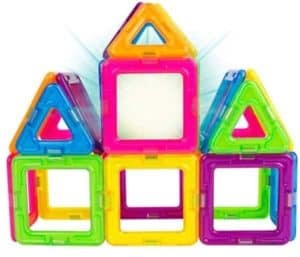 Amazon just dropped the price on this 26-Piece Magformers Set with Bonus Light to under $18 – that's 65% OFF! December 27, 2018 by Laurie Leave a Comment This post may contain affiliate links, which means if you click on a link and purchase something, I may earn a small commission (at no additional cost to you.) See my disclosure policy HERE. 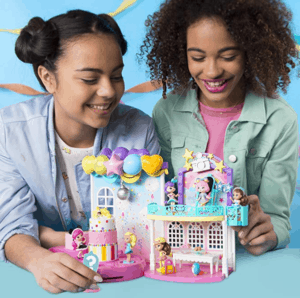 Amazon just dropped the price on the Party Popteenies Playset with Confetti to $4.99 which is by far the lowest price it's ever been at! Items ship free with Amazon Prime or Free Super Saver Shipping. 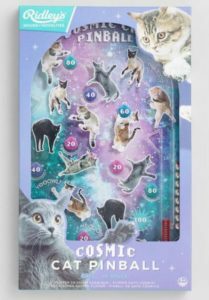 Go Party Popteenies Playset with Confetti to $4.99 to check it out! See more Amazon Deals – and learn why we love Amazon Prime for buying normal household items here! 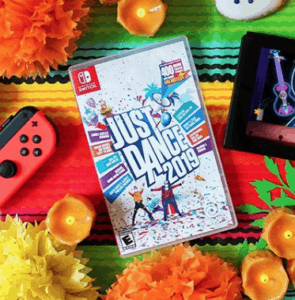 Just Dance 2019 Nintendo Switch Digital Code – UNDER $20!! December 26, 2018 by Laurie Leave a Comment This post may contain affiliate links, which means if you click on a link and purchase something, I may earn a small commission (at no additional cost to you.) See my disclosure policy HERE. It's available to download to your device right after purchasing – woohoo! December 21, 2018 by Laurie Leave a Comment This post may contain affiliate links, which means if you click on a link and purchase something, I may earn a small commission (at no additional cost to you.) See my disclosure policy HERE. 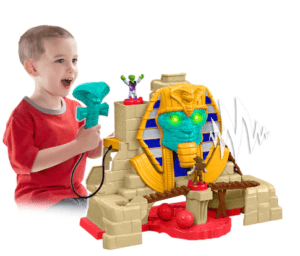 Check out this amazing deal today on the Fisher-Price Imaginext Serpent Strike Pyramid – priced at only $14.99! This is usually priced as high as $49.99, so grab it while it is this low! Grab free in store pick up or free shipping with a purchase of $50 or more. 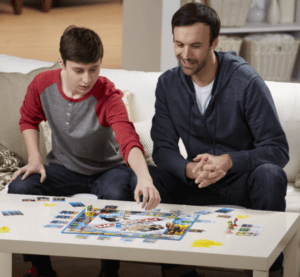 Head on over to Walmart.com to score this very cool Monopoly Gamer Collector's Edition Set! This is regularly priced $39.99, but today you can grab it for just $17.99! You also can score free 2-day shipping with a cart total of $35 or more OR choose to pick up in store for FREE! 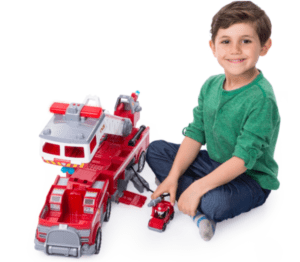 Paw Patrol Ultimate Fire Truck – HUGE Price Drop! December 19, 2018 by Laurie Leave a Comment This post may contain affiliate links, which means if you click on a link and purchase something, I may earn a small commission (at no additional cost to you.) See my disclosure policy HERE. WOW! 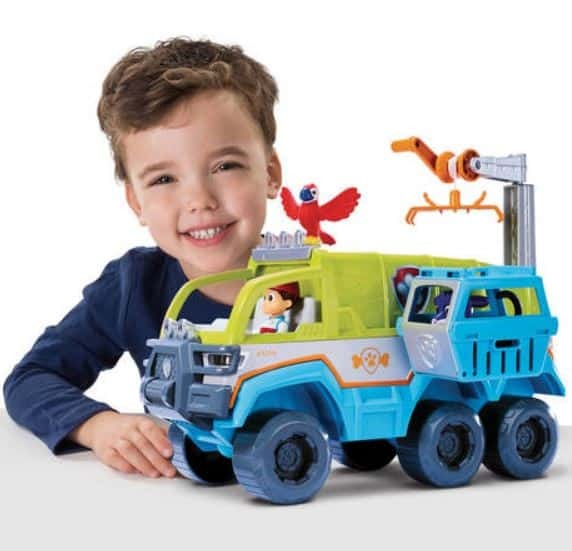 Check out this HUGE price break that Target has today only on this Paw Patrol Ultimate Fire Truck! 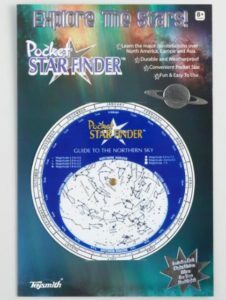 This is regularly priced $59.99, but right now you can pick it up for just $44.49. Purchase it today and you'll have it delivered to you FREE in time for Christmas! December 15, 2018 by Laurie Leave a Comment This post may contain affiliate links, which means if you click on a link and purchase something, I may earn a small commission (at no additional cost to you.) See my disclosure policy HERE. Today is the very last day you can shop World Market and get items delivered before Christmas – and they're offering FREE shipping on top of that! 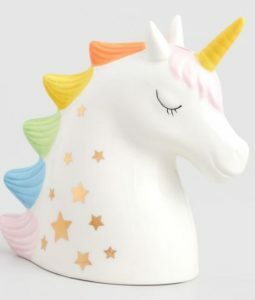 I love World Market for out-of-the-ordinary gifts and decor. 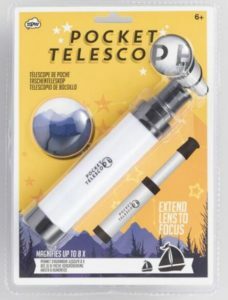 They have the COOLEST stocking stuffers and most of them are on sale right now! Standard Ground Shipping is FREE on select items – today is the last day to arrive by Christmas. 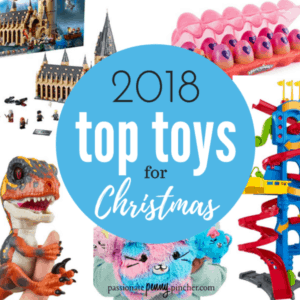 And make sure to check out the Top Toys for Christmas 2018 so you the toys your kids want won't be sold out the week before Christmas! WOW! 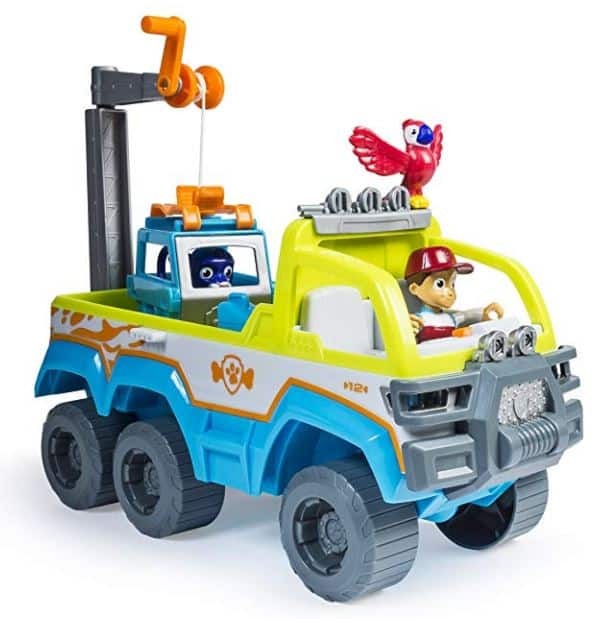 Hurry over to Amazon to score the Paw Patrol Paw Terrain Vehicle for a CRAZY HUGE price drop right now! 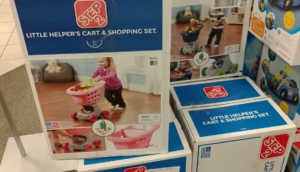 *Excludes LEGO, American Girl and other brands. 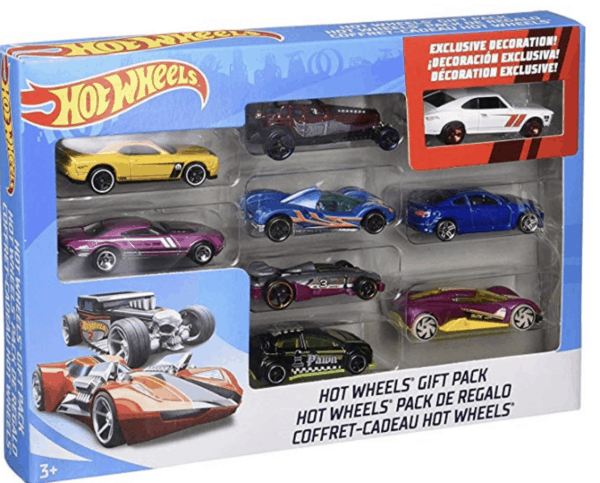 Make sure you check to see that this promotion is listed on the Special Offers section of the toy you're considering before purchasing! December 14, 2018 by Laurie Leave a Comment This post may contain affiliate links, which means if you click on a link and purchase something, I may earn a small commission (at no additional cost to you.) See my disclosure policy HERE. 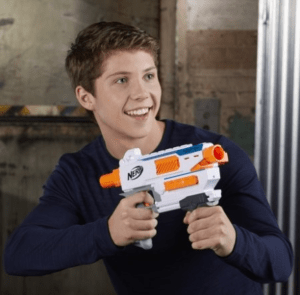 Head on over to Walmart.com to score this awesome deal on the Nerf Laser Ops Pro Deltaburst for just $14.99! It's regularly as much as $46.88, so this is an incredible price while it lasts. And, get free shipping on orders over $35 or free in-store pickup too! December 13, 2018 by Laurie Leave a Comment This post may contain affiliate links, which means if you click on a link and purchase something, I may earn a small commission (at no additional cost to you.) See my disclosure policy HERE. 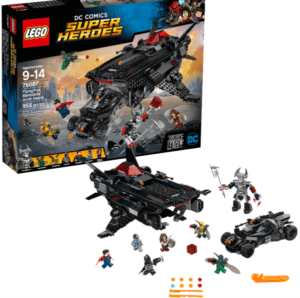 If you have a LEGO fan in your house do not miss this deal! 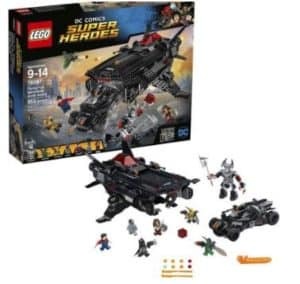 The large LEGO Super Heros Flying Fox: Batmobile Airlift Attack set is on sale for just $72.99 with FREE 2- day shipping! 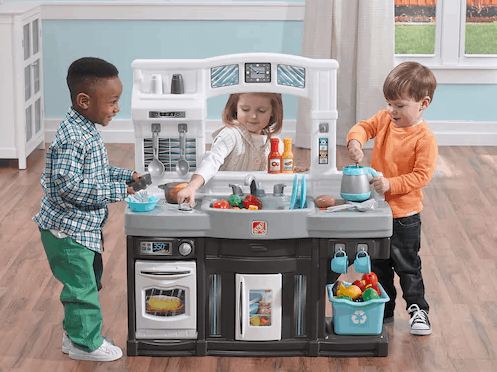 It's rare to see the larger sets go on sale like this – this set is regularly priced $129.95! 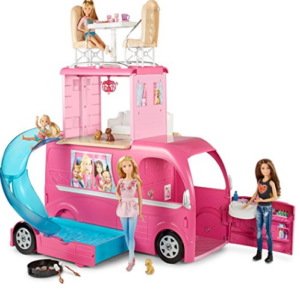 Check out this awesome price drop tonight on the Barbie DreamCamper Adventure Playset – pick it up for just $69.99!! This is regularly priced $94 and is rare to see discounts on these items this steep AND you score free 2-day shipping! Pick it up now while the price is low! Amazon: PS4 Dualshock Controller, Copper – BIG PRICE DROP! 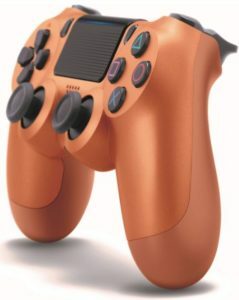 SONY DualShock PS4 Controller in Copper – PRICE DROP! I live with 5 gamer guys and we have a PS4, and every year it seems like someone is asking for a new PS4 controller. There are LOTS of new colors – this year the copper one is super popular and the price just dropped to under $50! (Reg $65) I just snagged one – because it's the best deal I've seen on this color. 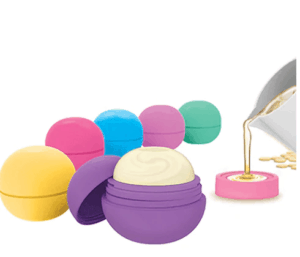 I'm LOVING this deal on the All Natural Lip Balm Boutique at Kohl's tonight! You can pick this up for just $5.99 + FREE Shipping if you hold a Kohl's card! This is usually priced $19.99, so you're getting an amazing deal. This gift is perfect for the little one that you're not quite sure what to get – who doesn't love making their own lip balm?! 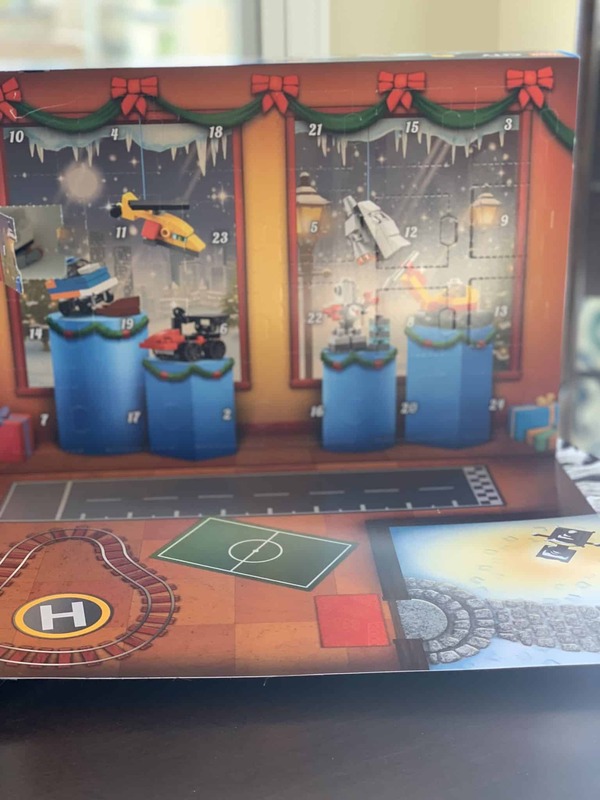 December 7, 2018 by Laurie 1 Comment This post may contain affiliate links, which means if you click on a link and purchase something, I may earn a small commission (at no additional cost to you.) See my disclosure policy HERE. Head on over to Walmart.com to pick up the Baby Alive Once Upon A Baby: Forest Tales for just $39!! This is usually priced $60, so you're getting a nice savings! Plus, you can get FREE 2-day shipping or pick up in store. A lot of the sets are already sold out online – BUT you can order online and choose in-store pickup to still get these deals. 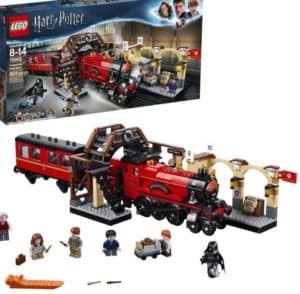 Get the Harry Potter Minifig 4-Pack – FREE! 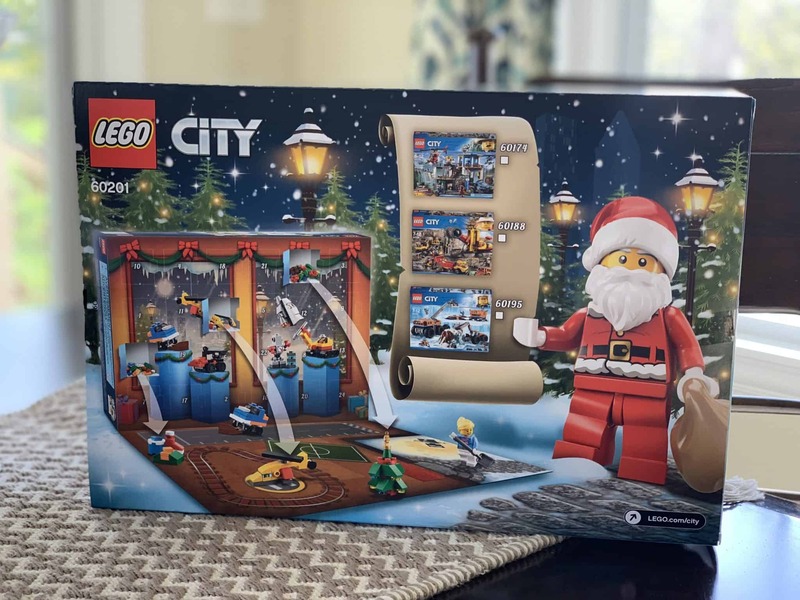 Total = $80 for $180 worth of LEGO! 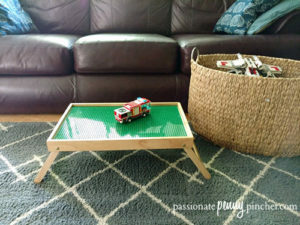 OR – if your kiddo's crazy over Harry Potter LEGO's, here's another deal idea! December 3, 2018 by Laurie Leave a Comment This post may contain affiliate links, which means if you click on a link and purchase something, I may earn a small commission (at no additional cost to you.) See my disclosure policy HERE. 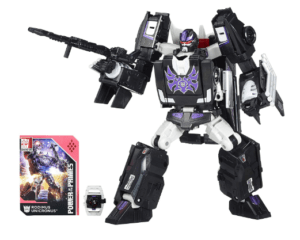 Amazon just dropped the price on the Transformers Generations Power of the Primes to only $26.98, which is 40% OFF – a great price for these toys!! 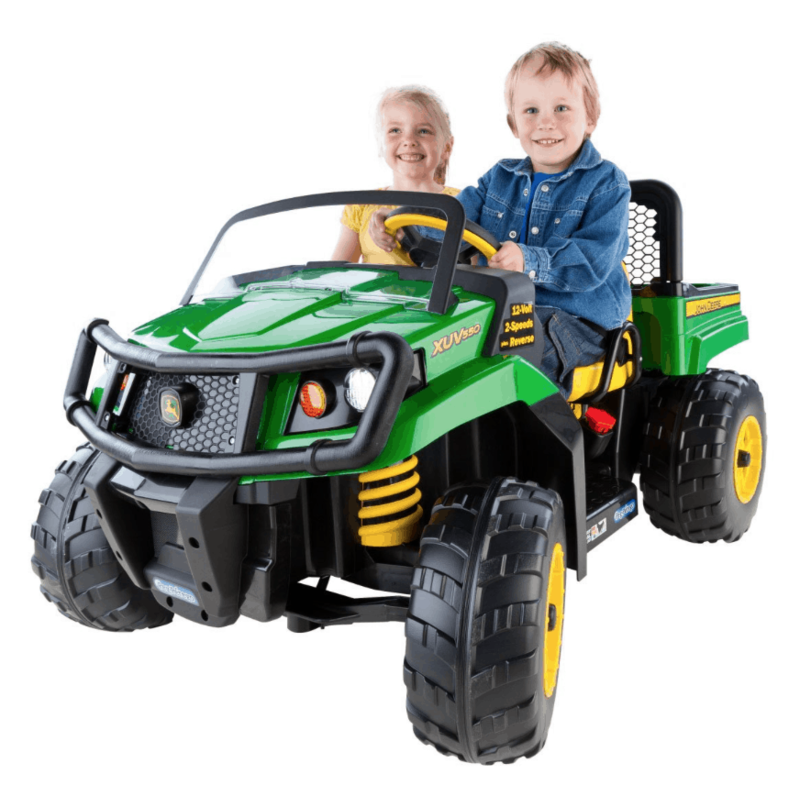 My kids absolutely loved the Transformers toys when they were younger – they're so fun! 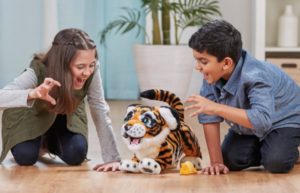 This toy has excellent reviews, and ships free with Amazon Prime or Free Super Saver Shipping – AND will be to you before Christmas! 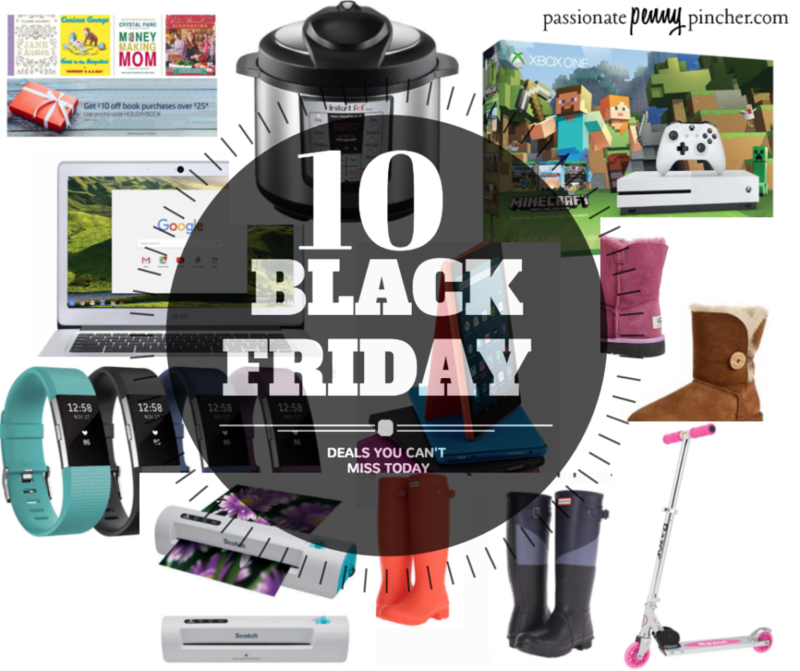 November 26, 2018 by Laurie Leave a Comment This post may contain affiliate links, which means if you click on a link and purchase something, I may earn a small commission (at no additional cost to you.) See my disclosure policy HERE. 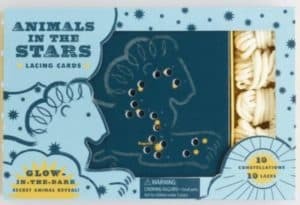 Here's a great gift for stocking stuffers! Snag this Hasbro Rubik's Cube for $3.49 at Amazon (as an add-on item so you must spend $25 or more to get the price and free shipping). 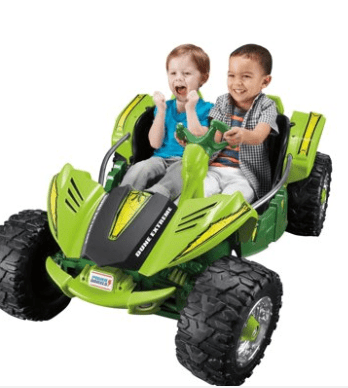 Kohl's Cyber Monday deals are HERE!!!! 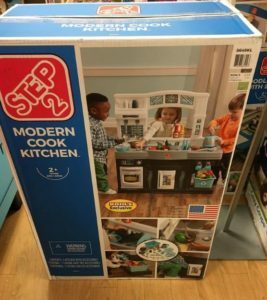 Everything is available as of RIGHT NOW online at Kohl's.com. 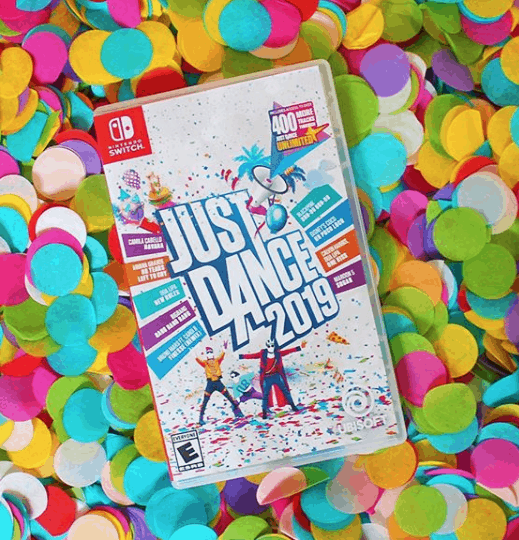 Use 20% OFF code GIVE20 on most items, plus $10 off $50 with the code JACKPOT, and earn $15 Kohl's Cash on every $50 purchase! Free shipping starts at $25. Plus they've added an extra twist to their Cyber Week event… new 1-Day Cyber Deals each day! Each day they'll have new Cyber week deals that will only last 24 hours – and we'll be posting the best of the best deals along with any extra codes you can use. 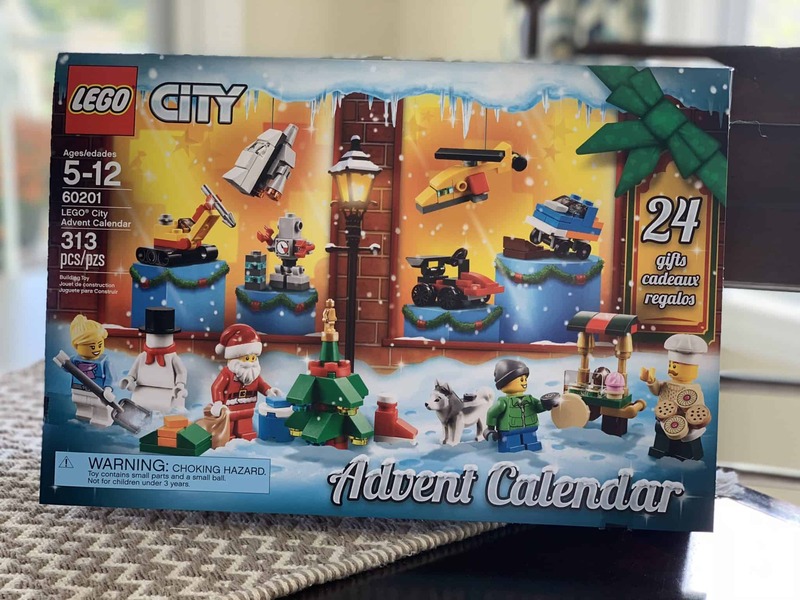 If you're looking for a LEGO Advent Calendar 2018 ~ they're now in-stock at Kohl's! 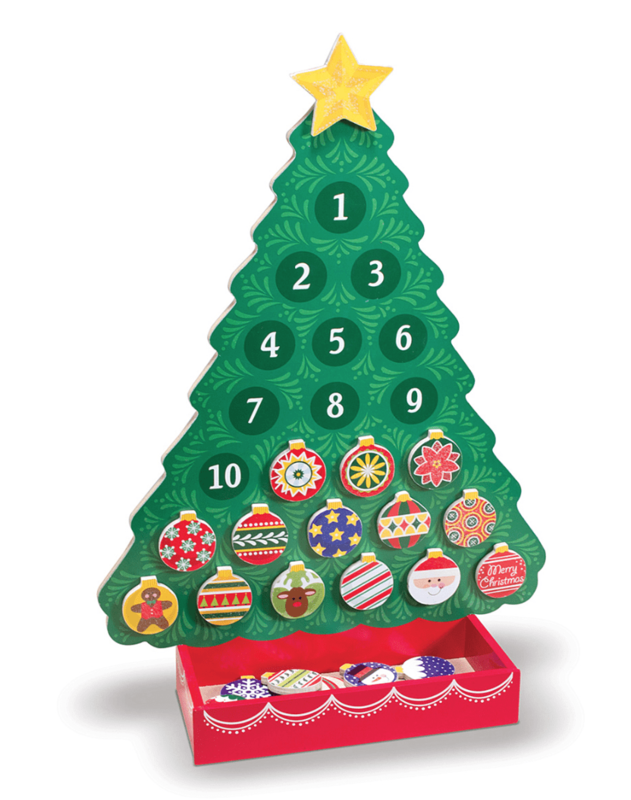 These tend to sell out as we get closer to Christmas. LEGO Advent Calendars tent to sell out quickly and of course that means the price will jump once they're hard to find. If you're spending Kohl's Cash – keep in mind that your Kohl's Cash will come off before all other discounts. That can make it tricky to use some codes (like a $10 off $50) so one thing that's always great to spend your Kohl's Cash on is any items that won't allow codes to be used. Some examples are: ALL Toys, Nike, Converse, Under Armour, Levi's, Adidas and more. Here are the hottest deals we've found so far – and check out all the Kohl's Cyber Week Deals HERE! 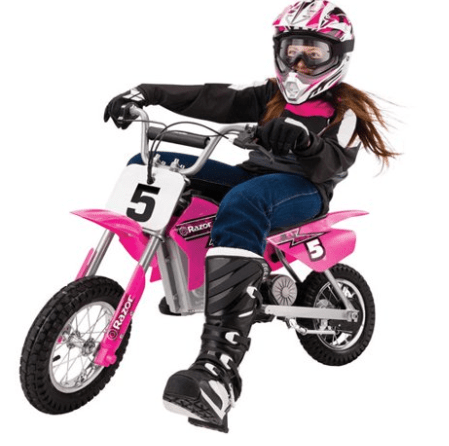 Find more Cyber Monday Friday Toy Deals HERE! 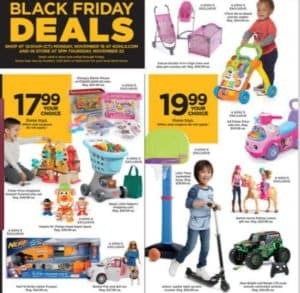 November 25, 2018 by Laurie Leave a Comment This post may contain affiliate links, which means if you click on a link and purchase something, I may earn a small commission (at no additional cost to you.) See my disclosure policy HERE. Here's another fun early Cyber Monday Steal! This Nerf N Strike Accu Series Falcon Fire is under $6 and the lowest price we've seen it at (regularly $14.99). This is an add-on item, but if you're buying anything else on Amazon, this is a great time to snag this one while it lasts. Go HERE to check it out! 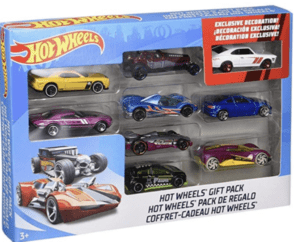 Hot Wheels 9 Pack Under $6? Save 50%! Go HERE to snag this one while it lasts! 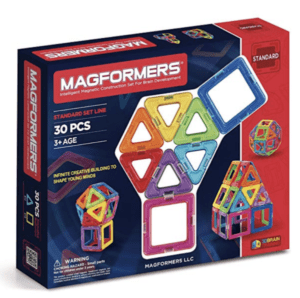 Magformers Early Cyber Monday Deal! Amazon dropped the price on this Magformers set to under $21 which is by far the lowest price we've ever seen it! Go HERE to check it out while it lasts! 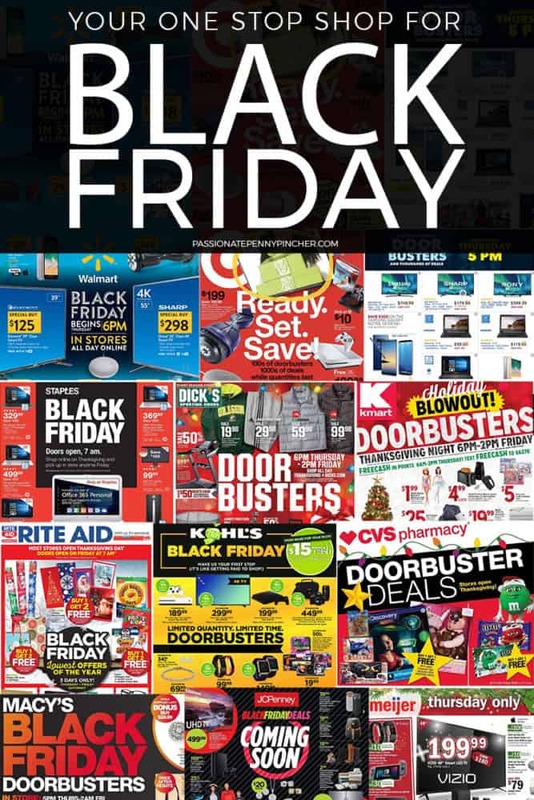 Target's Black Friday Doorbuster deals are live online right now!! Calling all Pokemon fans! 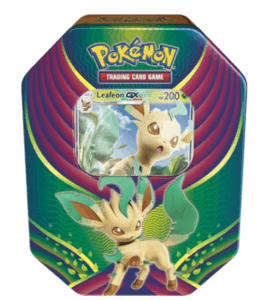 You can grab the Pokeman Trading Card Tins right now for just $9.99 – that's 50% off the regular price! This is a great savings, so take advantage while you can! Also, if you've not yet signed up for Target's RedCard – don't miss signing up! You get free 2-day shipping and 5% off each purchase you make – and you can link it right to your debit card! Headed in store? 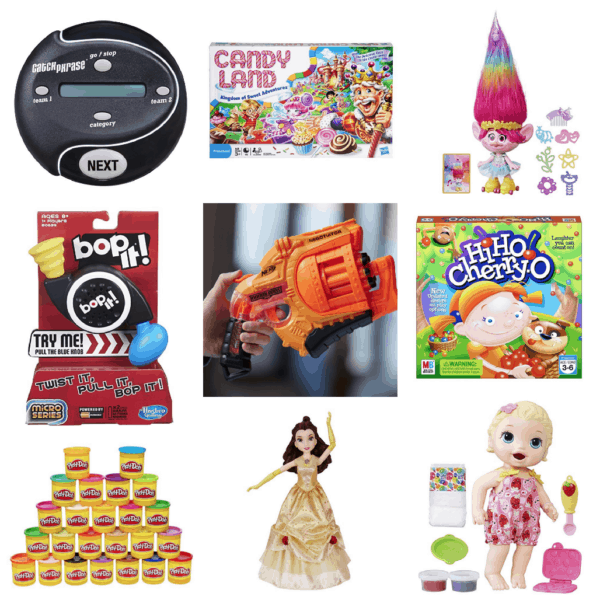 See all the top deals at Target this week, and create your Target shopping list before you shop. Target | Wireless Speaker 50% OFF! 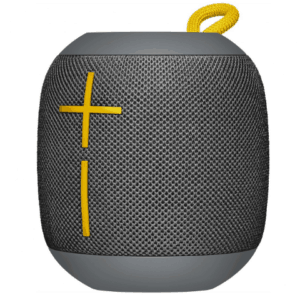 I'm loving this deal on the Ultimate Ears WonderBoom Wireless Speaker for just $49.99! This is 50% off the regular price, and for a waterproof wireless speaker that you can choose from several colors is a fantastic deal! 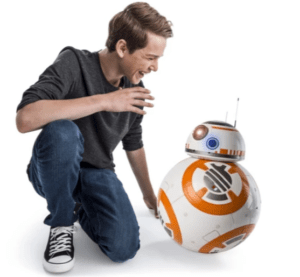 If you have a Star Wars fan in your family, you don't want to miss this awesome deal on the Star Wars BB-8 Fully Interactive Droid! 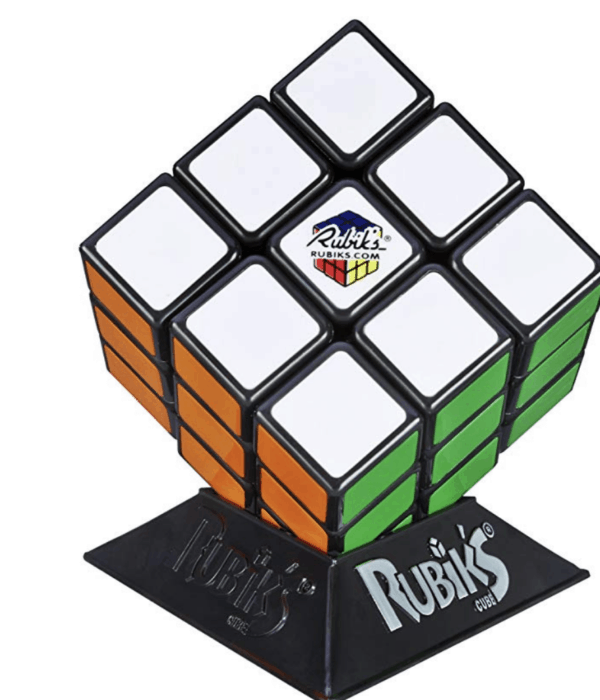 Grab it today for just $49.99 – 50% off the regular price! 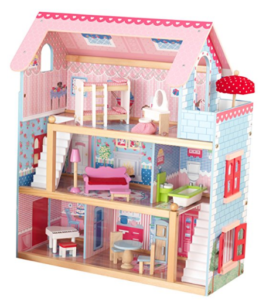 Amazon: Barbie Pink Passport Townhouse is 50% OFF! WOW! 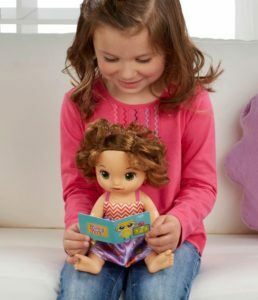 If you're shopping for any Barbie fans this Holiday season – this is a deal you won't want to miss! Right now on Amazon, pick up the Barbie Pink Passport Townhouse for 50% OFF the regular price – putting it under $50! 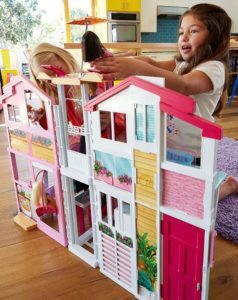 Three deluxe stories of play space make this Barbie Townhouse home to all kinds of storytelling fun! 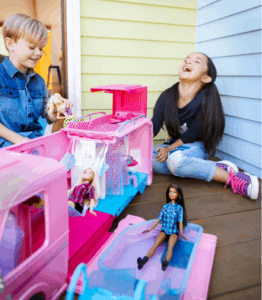 Travel between floors on the sleek child-activated elevator — when Barbie doll (sold separately) reaches the second floor, the rooftop opens up for a truly fun surprise complete with a colorful pop-up umbrella! 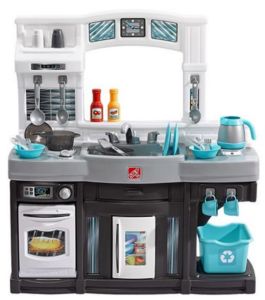 The kitchen and living room occupy the first floor; the bathroom and bedroom are on the second; there’s even a closet upstairs for Barbie doll to hang her fashions! 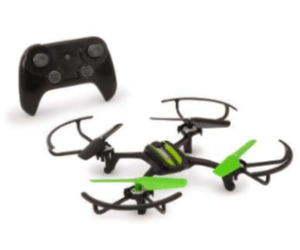 Target | Sky Viper FURY Stunt Drone Under $30! Check out this fun drone! You can pick up the Sky Viper FURY Stunt Drone today for just $29.99 – a 40% off savings right now! 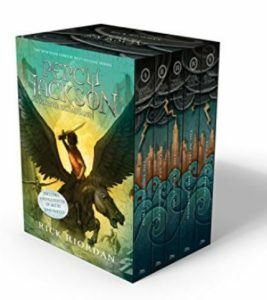 Amazon: Harry Potter or Percy Jackson Boxed Sets for 50% OFF! Right now Amazon is offering $5 off your $20 book purchase with the code NOVBOOK18 at checkout! I *LOVE* this deal – and always like finding great giftable books to buy with it. 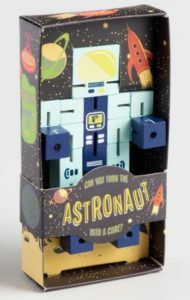 This would make a great gift for a young adventurous reader! 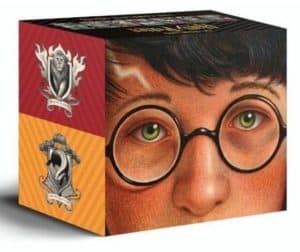 Also on sale today is the Harry Potter Book Set for about $40 after code. (Reg $100) Great idea for the Hogwarts fan on your list! Keep in mind, this is only valid on print books, and the code can only be redeemed once. Nice time to grab some books that are on your wishlist! (Ends November 25th, at 11:59 PM EST) . 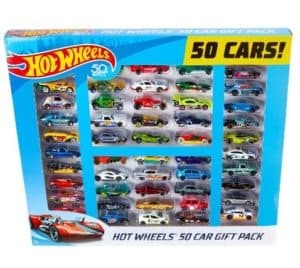 Head on over to Walmart.com to score this Hot Wheels 50 Car Gift Pack for only $25! It's regularly $50, so this is an incredible price while it lasts. And, get free in-store pickup too! 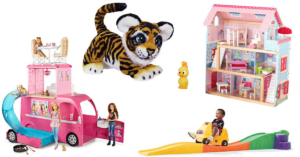 See all the other Black Friday Toy Deals HERE! 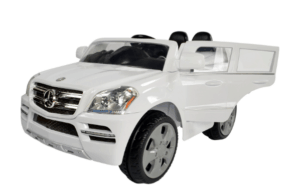 Target | Kids’ Ride On Mercedes-Benz Only $124! 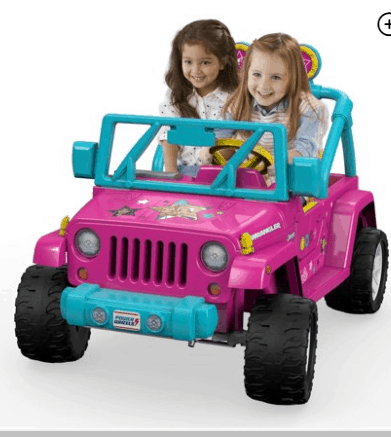 I'm loving this great deal on this Kids' Ride On Mercedes-Benz for $124! This is priced 38% off today, so grab this price while it lasts! November 22, 2018 by Shannon Leave a Comment This post may contain affiliate links, which means if you click on a link and purchase something, I may earn a small commission (at no additional cost to you.) See my disclosure policy HERE. Here's another incredible Black Friday deal today! 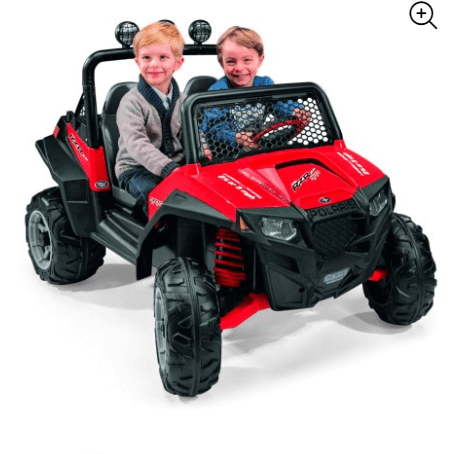 Head on over to Walmart.com to check out the deals they have on Ride On Powered Cars, Trucks and Motorcycles! *TOP TOY DEAL* KumiKreator Friendship Bracelet Maker – LOWEST YET! WOW! 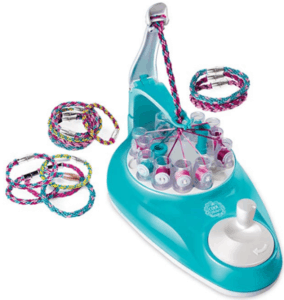 This KumiKreator Friendship Bracelet Maker is a Top Toy of the year this year – and it's on price drop right now on Amazon for under $20 – reg $29.99! 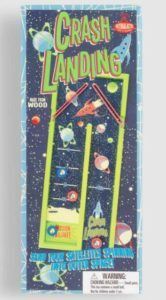 That's the lowest we've seen this toy so far this year – and it looks like it would provide lots of fun over Christmas break! The Cool Maker KumiKreator is a breakthrough bracelet maker; easy to create friendship bracelets without a single knot needed! 88 ready-to-use string spools in 5 colors, a bracelet design booklet, stylish clasps to customize, a storage case and more! Choose to create 8 or 12-strand bracelets from the design booklet for different bracelet looks. Stack, wrap and share your Kumi bracelets with your BFF’s and mix and match with your outfits! 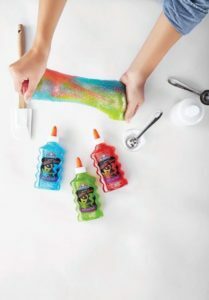 And don't miss the CRAZY GOOD deal on Slime Supplies, and the Baby Alive Doll for half off! 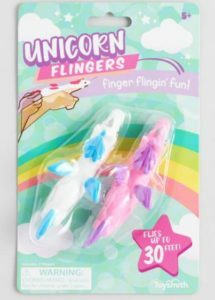 Amazon just dropped the price on the Elmer's Glitter Glue 3-Pack to right around $7 – and the Red, Green & Blue Pack to around $6 – which is the lowest price we've ever seen it go without being an add-on item! 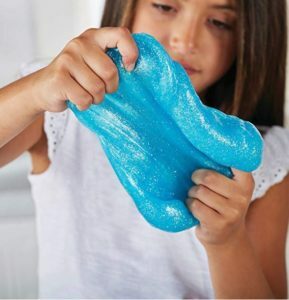 Add a bold, glittery pop to your projects and homemade slime! Amazon just dropped the price on the Baby Alive Ready for School Doll to under $11 – which is an AWESOME deal! 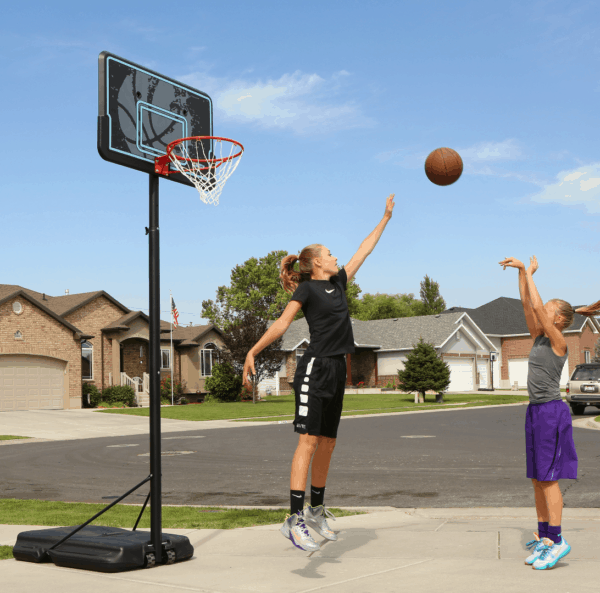 Head on over to Walmart.com to score this great deal on Lifetime Pro-Court Height Adjustable Portable Basketball System for just $79.99! It's regularly as much as $129.99, so this is a great deal! Plus you get free 2-day shipping or free in-store pickup too! Check out all the top deals at Wal-Mart this week.